As we know that Fashion Pakistan Week season 5 took place on 9th April 2013 in Karachi. 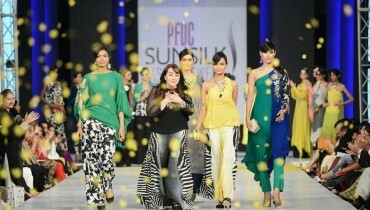 If we talk about most important fashion shows in Pakistan then we have to mention the name of Fashion Pakistan Week. In other words, we can say that this fashion show is the best platform for all the talented and fresh fashion designers for showing their talent. This year, many top and leading fashion designers showcased their spring collections in this fashion show like Sana Safinaz, Deepak Perwani, Deepak and Fahad, Zari Faisal, Maheen Khan, Emraan Rajput and many more others. 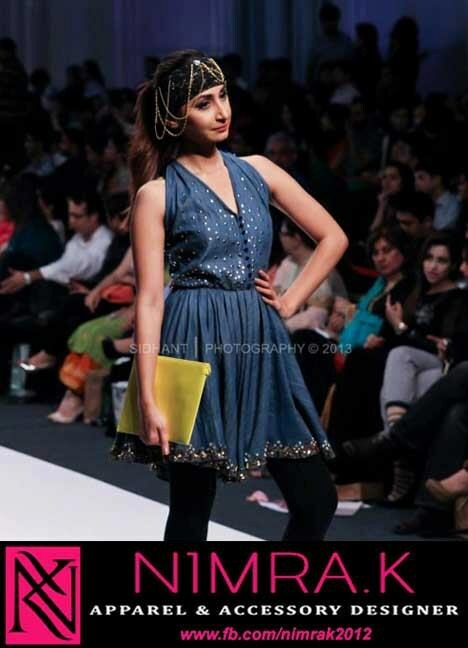 Recently, Nimra.K has also participated in this fashion week and showcased its latest and exclusive handbags and clutches collection 2013. We would like to mention that Nimra.K is the well known fashion brand for women and it offers wide variety of handbags, clothes, clutches and other fashion accessories. This exclusive collection includes wide range of handbags and clutches for women and girls. Moreover, all the clutches have been designed according to latest fashion trends. 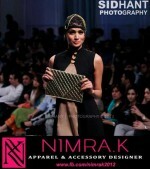 Moreover, Nimra.K used dark colors in all the clutches such as red, maroon, green, yellow, purple and many more other colors. In this collection, some clutches are fancy and few of them are simple. These clutches are available in different designs and sizes. 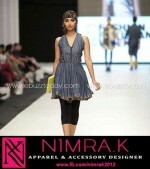 In this post, we will represent few pictures of Nimra.K collection 2013 at Fashion Pakistan Week 5. Furthermore, many top models walked on the ramp for showing this beautiful and stylish clutches collection such as Nadia Hussain, Zeba Ali, Hira Tareen, Ayyan etc. Makeup of all the models has been done by Saba Ansari at FPW. Photography has been done by Faisal Farooqui by Dragonfly. In short, this clutches collection is very stylish and elegant. If you want to buy elegant clutch or handbag then check out the pictures which are given below.